You are here: Home / About The EarWell Centers of Texas / Is Your Baby a Candidate for EarWell? Is your baby a candidate for earwell is a question asked by 33% of parents with newborns. Believe it or not, when our nurses looked at 100 consecutive infants in the newborn nursery, one-third had misshapen ears. Over the first week about one-third of these infants had self corrected leaving over 15% of newborn infants with persisting deformity. Unfortunately, left alone the only solution is surgery. 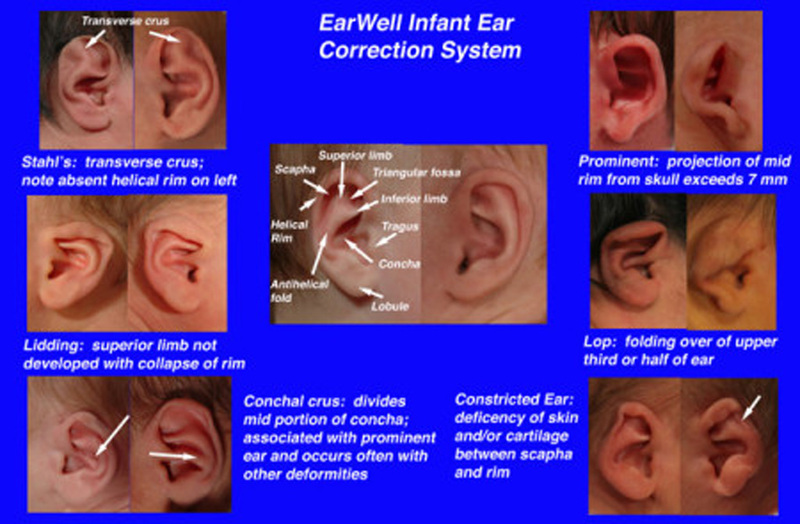 The good news is there is a window of opportunity to correct these infant ears non-surgically and with great outcome. When Should You Start Infant Ear Molding? The ideal time to start molding therapy is within the first 5-7 days after birth. A good to excellent outcome is seen in over 93% of babies when treatment is started early. Good outcomes drop to less than 50% when treatment is started after 3 weeks of age. One theory is that the ear is soft and malleable at birth due to the high levels of circulating maternal estrogen and correspondingly high levels of hyaluronic acid in the ear cartilage. As maternal estrogen disappears over the first six weeks, hyaluronic acid in the cartilage also decreases and the ear cartilage becomes firm and fixed in shape. The clear message here is look at your baby’s ears right after birth. If the ears are not perfectly shaped, alert your pediatrician and get a referral or call us. Get your baby photos done so that molding therapy can be started promptly by the end of the first week. 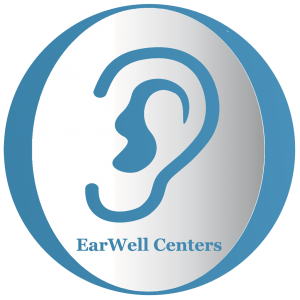 The first step in the EarWell Application, a small amount of hair around the ear will be shaved to allow the EarWell™ device to adhere to the skin. The area is then sterilized with alcohol. The EarWell™ System is made up of 4 components which work together as a mold to reshape the ear. Learn more about the EarWell Application.